The Magnetic Fields' Stephin Merritt On World Cafe : World Cafe Hear the singer-songwriter play ukulele versions of songs from Love at the Bottom of the Sea. Stephin Merritt, "Your Girlfriend's Face"
The Magnetic Fields' music provides one of several outlets for frontman Stephin Merritt's inspired songwriting. The band began recording a string of eclectic albums in 1993, and finally found mainstream recognition with 1999's three-disc 69 Love Songs. Merritt focused mostly on side projects until 2004's i, which did not include any synths — a trend which continued with 2008's guitar-heavy Distortion and 2010's Realism. Singing clever and emotive lyrics with a deep and resonant voice, Merritt playfully explores both dramatic events and everyday trifles. The band returns to its classic synth-pop style with the release of Love at the Bottom of the Sea. 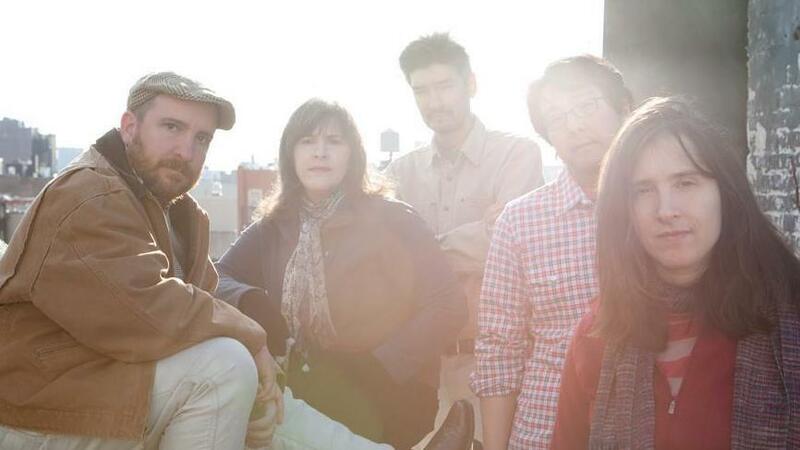 In this World Café session, Merritt discusses his relationship with the band and describes The Magnetic Fields as his musicians rather than accompanists or collaborators. Merritt also describes his recent U.S. tour and his personal distaste for touring in general. Shedding light on his songwriting process — and explaining his distaste for touring — Merritt says he prefers to write songs in a "dimly lit atmosphere surrounded by disco music and drunks."